Haunted by shadowy forces that destroyed his life, Hunter goes on a journey for answers in David Tarleton's Hunter, which will be released digitally on February 12th. 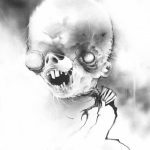 We also have a look at eerie artwork from a new book that pays tribute to Scary Stories to Tell in the Dark, a Terror in the Skies trailer, and Cannibal Club release details. 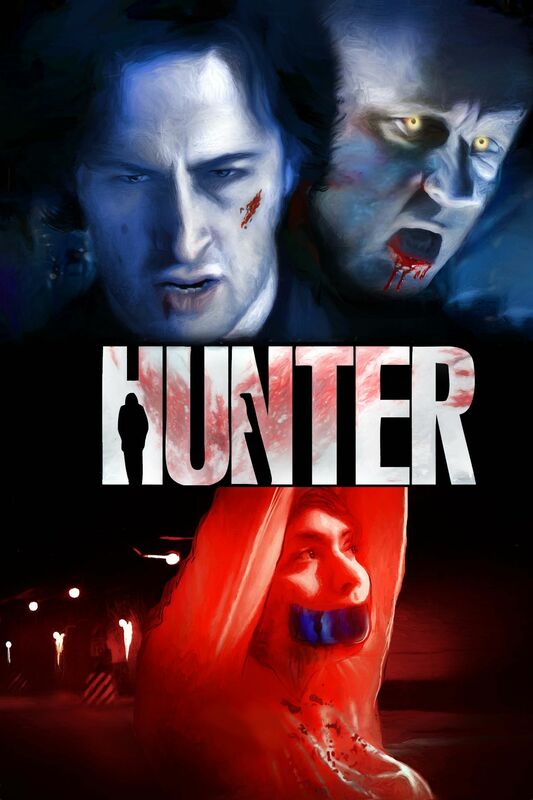 Hunter Release Details and Trailer: "Random Media’s supernatural-horror feature film ‘HUNTER’, starring Nick Searcy (The Shape of Water), Jason Kellerman (Shiva Baby), Rachel Cerda (Chicago Fire) and Ryan Heindl (Chicago P.D.) will [be] released on-demand and on all digital platforms on February 12. Directed by David Tarleton, and written by Jason Kellerman, ‘HUNTER’, is the story of Hunter (Jason Kellerman), who, after the deaths of his mother and sister, suddenly finds himself relegated to a life of paranoia and loneliness on the icy winter streets of Chicago. Dreaming of the life he's lost, he's increasingly haunted by horrifying memories and visions of the shadowy figures (Nick Searcy) that took so much from him. He takes refuge in a local homeless shelter and is enrolled in a program that rehabilitates the homeless through talk therapy. Running the program, Danielle (Rachel Cerda) attempts to help him grapple with his history and explain the personal demons which continue to terrify him. 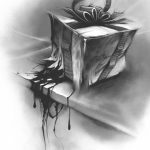 After another homeless friend of Hunter's goes missing, seemingly at the hands of those shadowy figures, Hunter's fears become suddenly much more immediate. As he grows increasingly bold in his search for answers, and his newfound resolve brings him closer and closer to the truth, the deadly figures he's pursuing begin to mount their forces against him. As his personal demons seek to exploit his weaknesses to threaten all he holds dear, with the lives of those he loves once again at stake, he must find the courage to rise above the victim and become the Hunter." 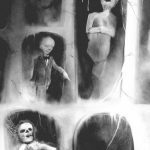 New Book Pays Tribute to Scary Stories to Tell in the Dark: "This obsessive collaboration of writer Curt Tuckfield and illustrator Shane Hunt (artist for the Scary Stories documentary feature film) brings to life a new collection of stories which meticulously pay tribute to the work and style of writer Alvin Schwartz and illustrator Stephen Gammell. 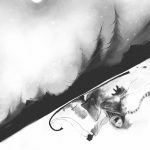 As of fall of 2018, over 30 stories have been written and over 50 pieces of art have been created. Kickstarter launches Fall 2019. 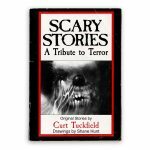 People can sign up for our mailing list and learn more here: www.scarystoriestribute.com"
Watch a New Terror in the Skies Trailer: "Small Town Monsters has released the first trailer for Terror in the Skies and outlined their plans for 2019. 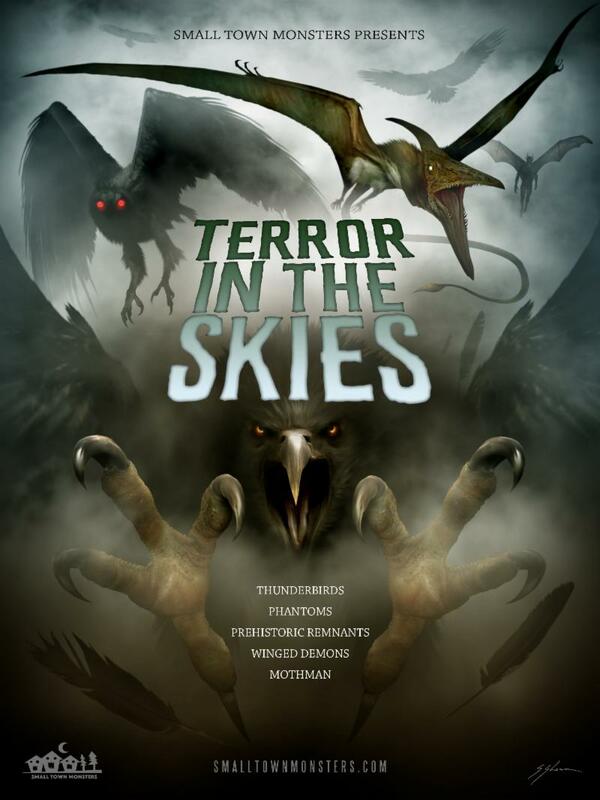 Director Seth Breedlove explores hundreds of years of terrifying reports of encounters with massive, winged creatures around the land of Lincoln. From Alton's man-eating Piasa Bird legends to recent sightings in Chicago of a creature said to resemble Point Pleasant, West Virginia's infamous Mothman, Terror in the Skies unlocks a centuries-old mystery. SRV Films and Santino Vitale are handling VFX and the film contains original illustrations by Matt Harris and Brian Serway. The film is produced by Seth and Adrienne Breedlove. Authors Loren Coleman and Troy Taylor are featured alongside numerous others." Cannibal Club Theatrical and On Demand Release Details: "Widely regarded as one of the goriest films in years, Brazilian horror hit Cannibal Club, directed by Guto Parente, premieres in North America this March via Uncork'd Entertainment. 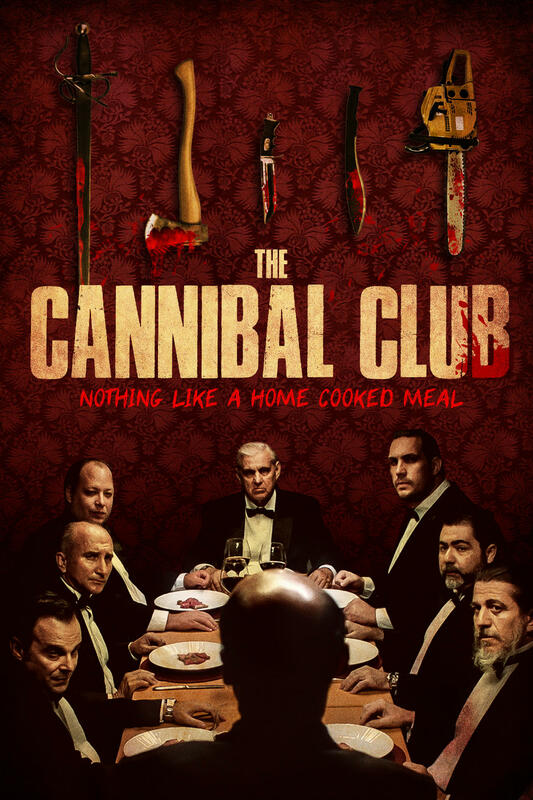 The smartly satirical and undeniably jaw-dropping Cannibal Club premieres in theaters and On Demand in March."